For $480 for the year, I can use all the pools in the City (around 25 of them) and all the gyms associated with them. Personally I could never pay less than 600 euros per year to access ONE pool just 3-4 times a week (unlimited access would cost much more and some pools don't even allow it). The problem in my area is that the majority of pools are not stand-alone but they are included into sporting centers with gym etc. and they get more expensive just for this. If I want to just swim, I typically also have to pay for the gym that I never use. How about you guys? Do you have unlimited access to your pool(s) and what's the average annual cost for this in your area? Re: How cheap is swimming? When I am in England I pay £41 per month. 46 euros. Unlimited swimming in a social pools. When in Australia, I pay £4.50 , 6 aud for a decent 50 m swim at Claremont, Paul Newsome,s pool. By not spending any money on alcohol, the swim cost is no bother. Just for the record! Here in the UK - My wife and I each spend £23.95 / month on OAP membership to DWfitnessclubs - gym and 20m pool with possible use of over 100 other gyms/pools "under the same umbrella" scattered around the country. At my age I need at least "a days rest" between swim sessions (Mondays,Wednesdays and Saturdays), so I go about a dozen times / month (i.e. each swim session effectively costs me about £2). My wife has more "go" than me (well she is 7 years younger!) - swims and uses the gym equipment every day of the week, plus daily "Spin" classes (why she likes doing those baffles me, 'cos she cycles everywhere in any case to get around). So she at least, really gets her moneys worth! Signed up for lessons about 4 years ago. Half hour lesson on Wednesday evenings, unlimited access to the pool all week for 15 Oz Bux a week. Only been swimming Sunday mornings most of this year so may switch to $7.50 for each swim. Here in the UK I pay £324 (=USD $427) per year for access to 4 pools (though I only ever use 2 of them). I don't get gym access for that price. My biggest gripe is that they don't open early enough. The one nearest me doesn't open until 7am; the one nearer my work opens at 6:30 but only 2 mornings per week. My favourite pool is an unheated outdoor pool, which is open from June through to September. For the 7am-9am session, it's just £2 per swim or £42 for the season. Excellent value and great for wetsuit training! I still think swimming is a relatively cheap sport, in the UK at least. The kit is cheap too - you can buy a decent pair of goggles and some jammers for £50 if you shop wisely (let's ignore wetsuits for the moment). Running may be free, but you'll probably spend at least £100 per year on running shoes if you're remotely serious about it. Cycling is also free, but you've got to buy the bike. A reasonable entry level bike is £500 in the UK (for both road and MTB). Enthusiasts will typically pay nearer £1000. On the other hand, I've been riding mine 20+ years with relatively low maintenance costs (it really needs replacing now though!). You still need helmet, lights, cycle shoes, gloves, bike computer etc. if you're serious. It all adds up. My wife plays tennis - now that definitely works out more expensive than swimming if you want to play 3+ times a week! When I was living in Izmir(my home city) between the ages 5-25 swimming was free for me. After I moved to Istanbul at the age of 26 I met with the Devil(pure Capitalism), since then I have been paying averagely around 100$ per month for the pools, "Thanks Universe" the prices are the same each year in dollar basis. 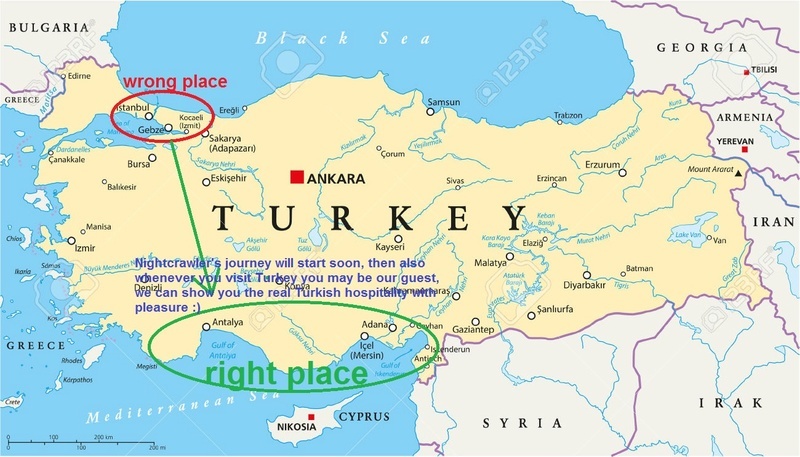 At the moment we are trying to sell our flat in Istanbul and move to city Antalya(which lays horizontally along the whole southern coastline of Turkey (along Mediterranean), and then we(my wife and I) will never pay any money for swimming eternally/forever/never and ever/no more!!! But due to economical crisis in Turkey at the moment it is hard to sell any real estate, they raped both our country and our brains/pshychologies!! !